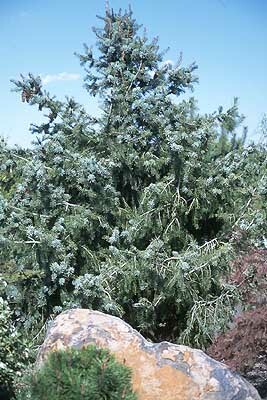 Conifer, evergreen tree, 50-80 ft (15-24 m) tall, slow growing, open crown, long pendulous middle and lower branches (weeping), to 2.5 m long. 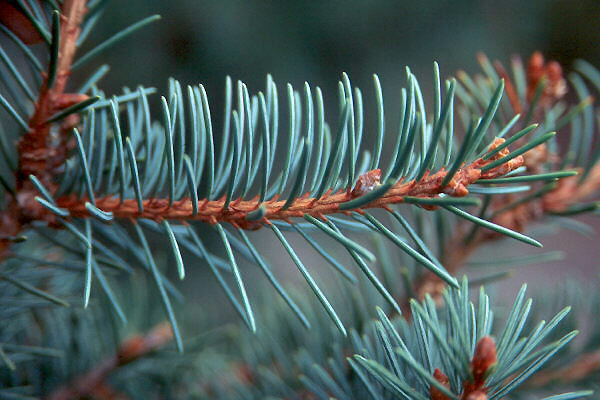 Needles flattened to rounded triangular, 2-3 cm long, apex round or blunt, 2 stomatal lines on the lower surface, tend to point forward on the branchlet, radial distribution on hanging shoots. 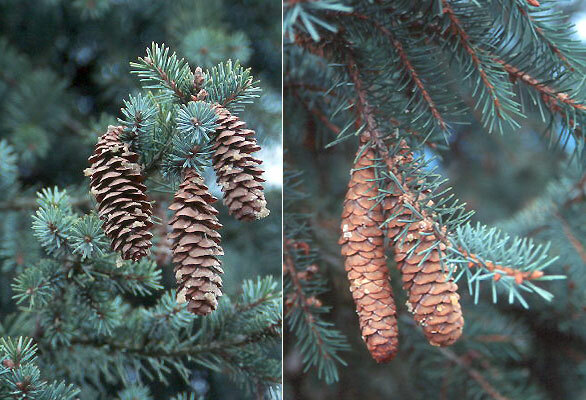 Cones hang down, oblong-cylindrical, 6-15 cm long, rounded scale-tips, purplish-red, becoming reddish-brown at maturity, seeds black, 3 mm. Hardy to USDA Zone 6 Native to the Siskiyou Mountains of southwestern Oregon and northern California. One of the rarest and least known American spruce. breweriana: after its discoverer, William Henry Brewer (1828-1910), a professor of agriculture at Yale.